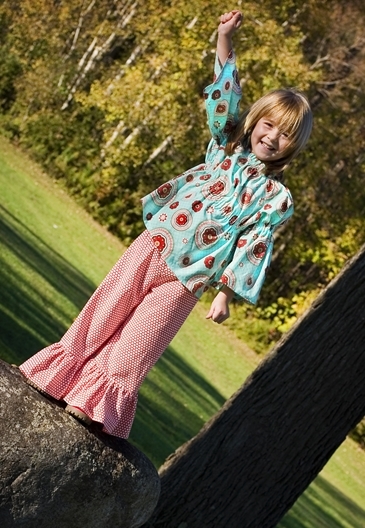 Long sleeve peasant top with empire waist and bishop sleeves. Aquamarine with red medalions. ©2004 - 2019 sweetlemonadedesigns.com. All rights reserved. Powered by Shoppe Pro.